Back in the early days of my blogging life, I posted about Burts Bees lipgloss which I loved despite hating lipgloss; well, next on my Hate List is foundation. I can’t stand the stuff. I think natural skin looks prettier than thick and cloggy makeup – and I’d rather use concealer all over than smear on foundation. Until now. Bourjois is one of my favourite brands – I already swear by their eyeliners, Healthy Mix concealer and chocolate-like bronzer. And now they’ve done what no other brand has managed to do in all my years of playing with makeup; they’ve convinced me to wear foundation. The Bourjois Healthy Mix Serum Gel Foundation, apart from being a bit of a mouthful, is quite simply brilliant. While I’m not sure about its claim to last 16 hours (so far I’ve only been wearing it on nights out), it is right when it claims to be radiance-boosting with an instant anti-fatigue effect – my skin looked fresh and even-toned, with a slight glow too. Containing goji berries, pomegranate and lychee, it also smells delicious (but not overpowering, as no one wants a fruity face). Because it is gel-based, it glides on and blends better than any tinted moisturiser, concealer or foundation I have ever tried. It’s so soft on the skin that you’ll find it hard not to keep sweeping your fingers across your pretty much flawless face – and best of all, it doesn’t feel like makeup to the touch. Personally, I found it gave really good coverage but the packaging states it is only a 1 on a scale of 1 to 3. My pet peeve with all foundations I’ve tried previously, powder included, has been that you could tell I was wearing it – there was no way the texture could ever be passed as my own skin. Bourjois have changed all that – it feels like my bare skin, looks like my skin (but better, obviously) and doesn’t make me look like one of those beauty counter girls who layer up every product they sell on their face. I’m a convert. Disclosure: I received this foundation free of charge, though it wasn’t from a PR – I’m not certain but I think I won it in a Latest in Beauty giveaway! 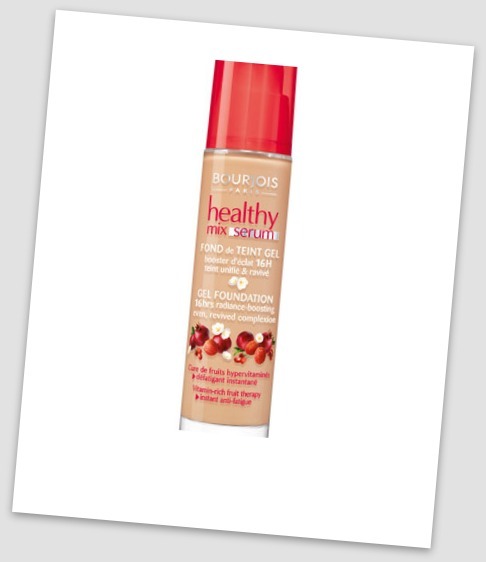 This entry was posted in beauty, bourjois, lifestyle. Bookmark the permalink.